There's so much to love about this sterling silver bracelet! With a sleek center heart and double-strand chain, it adds shimmering style to any outfit. 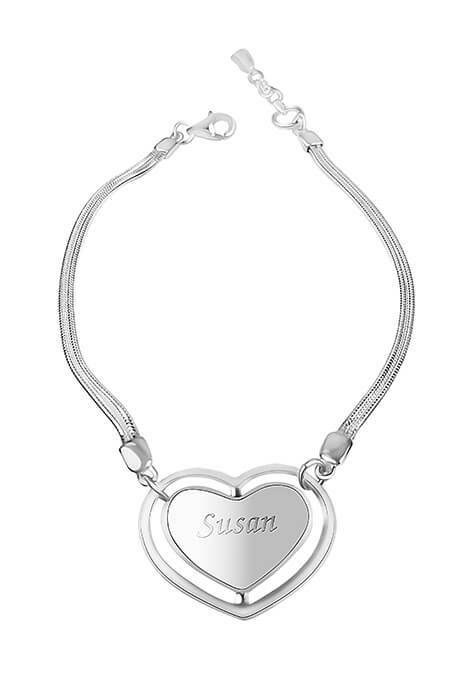 100% sterling silver chain features a silverplated heart that can be personalized. Specify name: 1 line, up to 7 letters/spaces, upper/lower case. Makes a truly personal gift! 7" long. Allow 4–6 weeks for delivery.